I am delighted to announce that the 14th Congress of the International Society for Immunology of Reproduction (ISIR) will take place between 13th – 16th November, 2019 at Nara Kasugano International Forum ～I・RA・KA～ in Nara city, Japan. The congress will jointly be held with the 34th Congress of Japanese Society for Immunology of Reproduction. 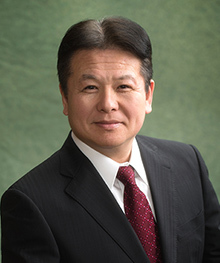 So far two of world congresses of ISIR were held in Japan, the second congress organized by Prof. Isojima of Hyogo College of Medicine in 1983 and the ninth congress organized by Prof. Makino of Tokai University in 2004. As for myself, I recall that it was the send congress where I made my first presentation at ISIR as a graduate student. At the ninth congress, I had a chance to act as chair and lecturer. It is the first time in fifteen years that an ISIR congress is held in Japan and I am so honored and excited about my commitment of this time as the congress chair. 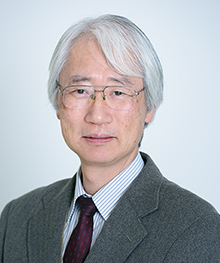 At this ISIR 2019 congress in Nara, Prof. Shimon Sakaguchi, the discoverer of regulatory T cell, will give a special lecture. Moreover, we have more than sixty world-class experts from all over the world for symposiums and lectures. It is for sure that this congress will be the most interesting opportunity to learn latest reproductive immunology researches. I warmly welcome you all to submit abstract and partake in this exciting ISIR congress in Nara city. We invite you to the 34th Japan Society for Immunology of Reproduction (JSIR 2019), which will be held in Nara, Japan, 13 - 16 November 2019. A unique aspect is that our JSIR 2019 meeting is held in conjunction with the 14th International Society for Immunology of Reproduction (ISIR). JSIR's Annual Meeting greatly offers attendees a variety of science and educational opportunities. Our organizing committee covers important topics in reproduction, immunology and cancer. The selected speakers will present the cutting edge research in basic science, translational research, clinical research, and medical treatments that may improve the quality of life of women with reproduction- and immunology-related disorders. I addition, ISIR 2019 is the world's leading professional organization for physicians, reproduction and immunology professionals. Many speakers will participate from all over the world and share with us the advances in modern high quality healthcare. Our Annual meeting has combined great scientific content with an opportunity to see the oldest city, Nara, in Japan. Nara city is also the cultural centre. Nara's premier attraction is Todaiji Temple and its Daibutsu (Great Buddha). Nara park covers about 1,300 acres and is home to more than 1,000 deer, which are considered divine messengers. If you are thinking of visiting Nara city, you can touch the oldest city and cultural center with old friends and make new ones. I look forward to meeting you in Nara, in November 2019. Please mark your calendar. © ISIR / JSIR. All rights reserved.